Westgate Law > Blog > Bankruptcy Issues > Does Filing for Bankruptcy Keep Broken Leases Off Your Credit Report? When you file for bankruptcy, you receive an automatic stay, which requires that any and all creditors stop contacting you in order to seek payment on debts. When you receive your bankruptcy discharge, all eligible debts included in the bankruptcy filing are no longer your liability. These are two of the most common benefits of filing for bankruptcy, but some wonder if bankruptcy could possibly offer another benefit by keeping broken leases from reporting to their credit reports. If you have broken leases and you file for bankruptcy, will those broken leases still show on your history after you file? Often when an individual is considering bankruptcy it is in an effort to obtain a fresh start. In a lot of cases, this will include a relocation, which could mean a broken lease. So it isn’t overly surprising that the question of broken leases and how they’re affected by bankruptcy would come up. Bankruptcy will discharge your legal obligation to repay the debt associated with the leases. You simply have to make sure that the debt is listed in full with all pertinent information on the list of creditors in your bankruptcy filing and there should be no problem with its inclusion. Conversely, bankruptcy will not purge your credit history of the fact that the lease existed or that it was broken. 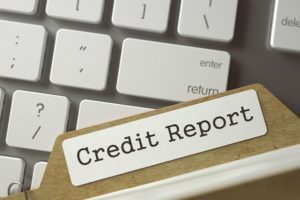 Once the discharge of debt is received and the amount due for the broken lease was included, the credit report should show it is “discharged or terminated in bankruptcy.” Bankruptcy doesn’t remove any information from your credit report that is already there. If the broken lease is already reported, it will continue to be listed, although many landlords do not subscribe to the mainstream credit reporting agencies and instead opt for more specialized agencies that deal strictly with commercial properties and/or tenant issues. If you need more information about how bankruptcy works or how to receive a discharge of debt, please get in touch with one of the experienced southern California bankruptcy attorneys at Westgate Law.